This dual masted Bluewater Pond Yacht from Skipper has distinctive white sails with black ‘21’ motif that are made from genuine sail cloth. 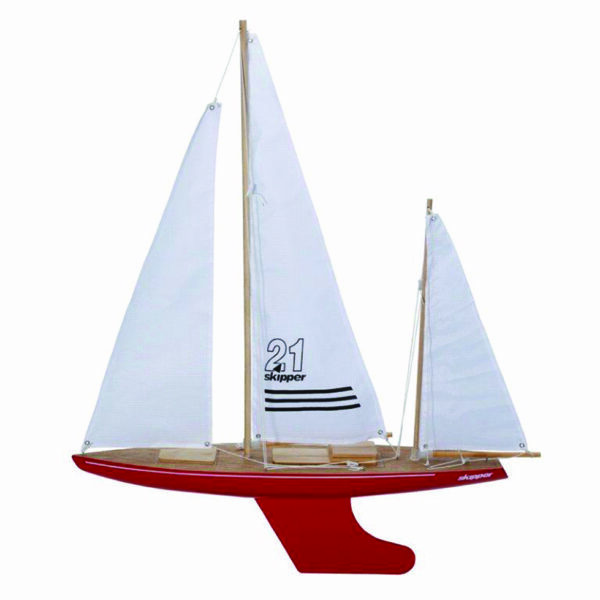 This beautifully crafted wooden pond yacht measures 21 inches to the back of the rear boom and has adjustable rigging to harness the wind. With its lined varnished deck, red wooden hull and steel keel, this handmade yacht is sure to stay upright.